Chicken coop for Huong - givekidsadreams Webseite! 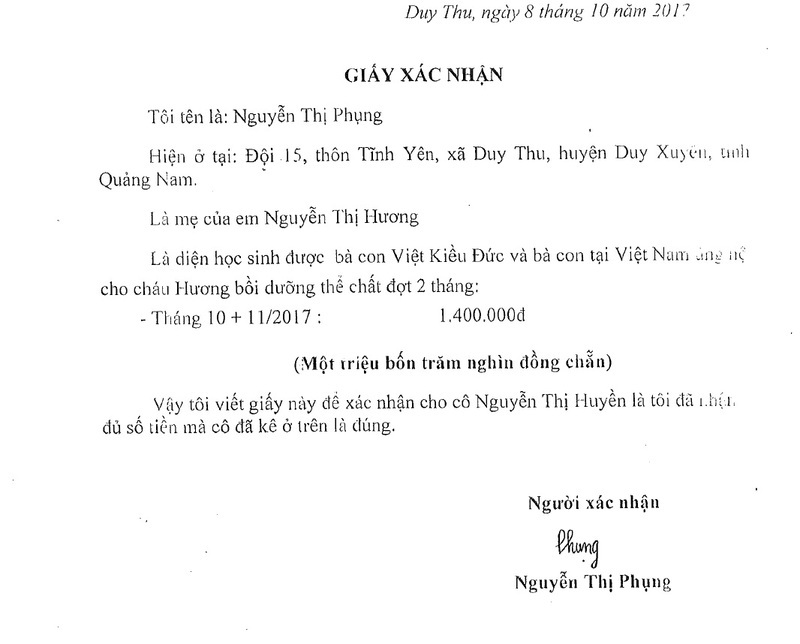 Nguyễn Thị Hương is a 13 years old girl who is attending the 7th grade secondary school Nguyen Khuyen in Duy Thu, Da Nang, Vietnam. Huong is an orphan. Her dad passed away and her mother is suffering with mental illness. Her grandmother was the only breadwinner and provider for the family. She just passed away on spring 2017. Huong's tragic fate broke our hearts and it was one of the reasons for us to launch the Dreamcatcher project. This project desires to help the children in need. We want to help them to have a better future instead of living on the street and being influenced by the bad environment out there. We asked Mr. Quynh - our contact person in Vietnam - to advance the costs for a small chicken farm. 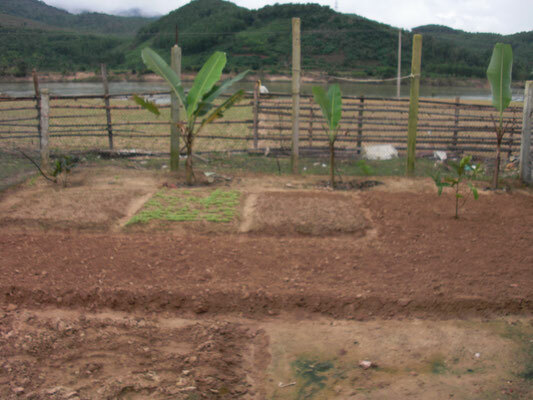 Thus, Huong can improve her family living condition in the long term. 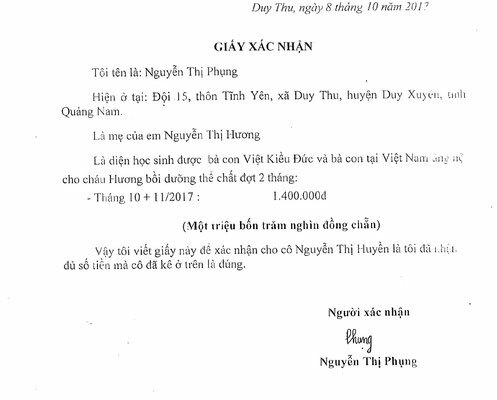 Fortunately, some of the sponsors gave extra supports to Huong so that she doesn't have to drop out of the school to work. 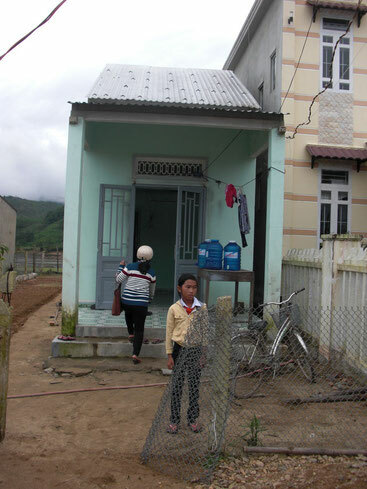 The kind neighbors helped build the house for Huong and her mother so that they have a roof over their heads. 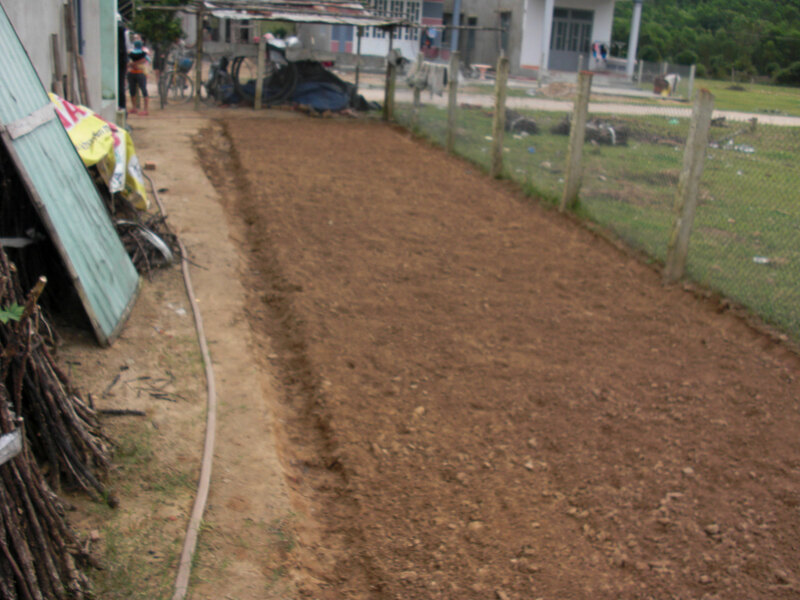 The house is very simple, no bed to sleep on, but Huong is very grateful to be able to sleep on the floor rather then sleeping under someone's else's porch. Duy Thu is close to the sea, the soil is not very fertile but Huong works hard to create a small garden to support her and her mom's living cost, as you can see in the pictures below. 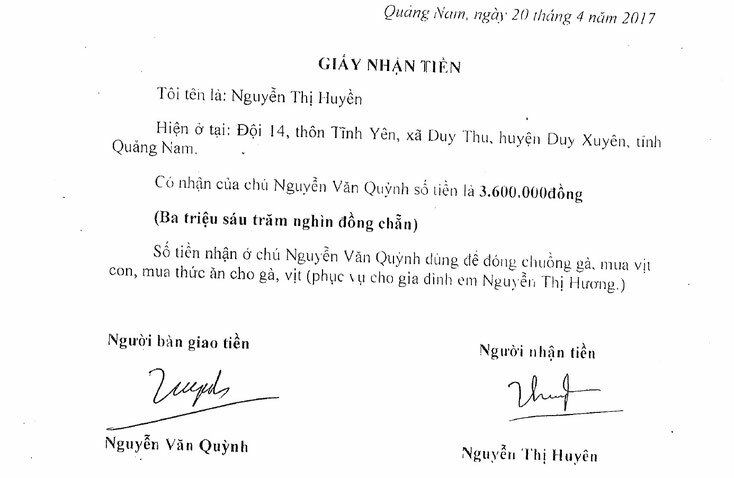 (in words three millions and six hundred thousand VND). This amount is for the purchase of chicken coops, chicks, feed to help the family of Nguyen Thi Huong to provide for themselves. 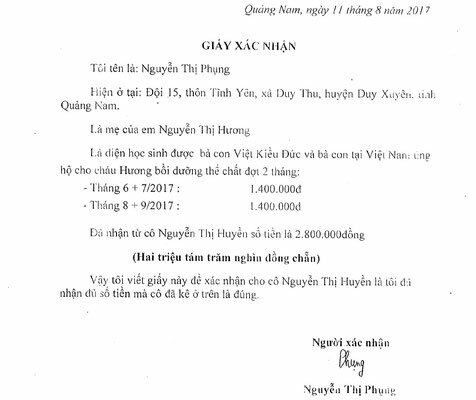 in total 2.800.000 VND, handed out by the teacher, Mrs Nguyen Thi Huyen. 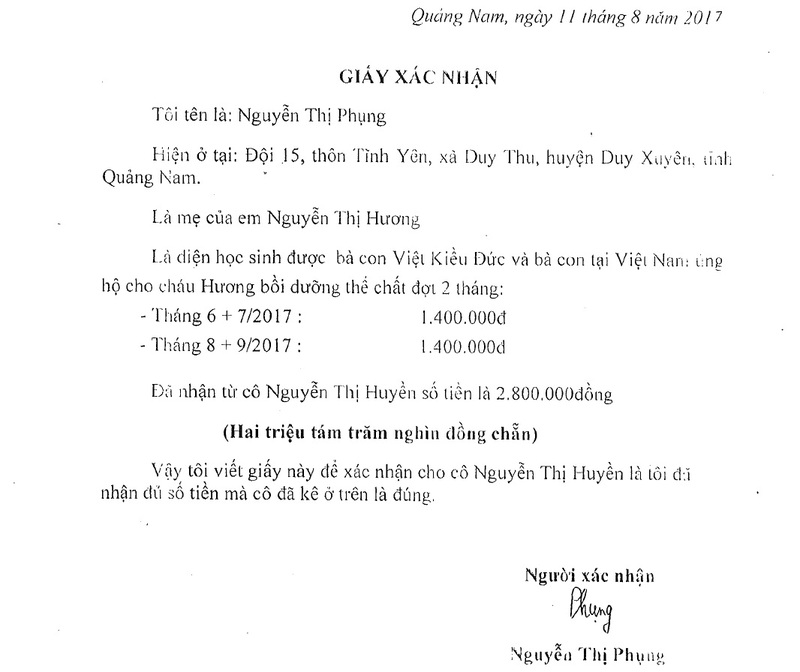 (in words two millions and eight thousand VND).